Brain injury affects thousands of people across Scotland and brings with it a range of lasting and serious consequences, both for sufferers themselves and the friends and family members around them who may have to put their own lives on hold in order to provide care and support. Thompsons' brain injury claims team in Dundee provides legal advice and representation for claimants and their families, as well as support and related services for those affected by brain injuries caused by the negligent actions or omissions of third parties. Thompsons has a proud track record of representing claimants injured in all of the above situations and works in partnership with a number of charities and other relevant support organisations – for example, Headway and Brake – to help clients receive a holistic and sensitive service throughout the claims process. The brain injury claims team in our Dundee office can also help claimants and their families understand their full welfare rights and provide assistance in this regard. This is particularly useful when dealing with children and other vulnerable individuals who may require specialist services – for example, additional learning support for children under the Education (Additional Support for Learning) (Scotland) Act 2004. We can also help with the provision of rehabilitative care and, when appropriate, the securing of interim payments in order to meet the most pressing practical and financial needs of claimants and their families. Brain injury claims can be complex and expensive. Fortunately, our No Win, No Fee model enables you to have access to justice without ever incurring the possibility of financial loss. 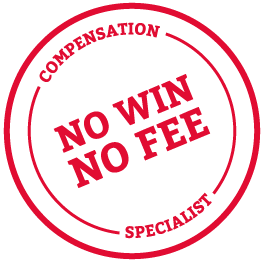 Quite simply, if we take your case on a No Win, No Fee basis you are protected from costs, fees and disbursements. You only ever pay us anything in the event you win your case – and this amount is agreed as a fixed percentage at the outset of your claim. Thompsons is one of the largest personal injury firms in Scotland and wins more than 90% of the cases it takes on, securing its clients around £1 million in compensation each week. If you would like to talk with our brain injury claims team in Dundee today about the possibility of claiming compensation for pain, injury, lost earnings and expenses, contact us to us today using one of our online forms or by calling 0800 0891 331.